Carnation Auto Blog: Is Maruti Celerio Better Than Chevrolet Beat And Hyundai i10? Is Maruti Celerio Better Than Chevrolet Beat And Hyundai i10? Known for its mass appeal in India, Maruti Suzuki India launched its super urban vehicle for people with class called Maruti Celerio . Recently unveiled in the Auto Expo, 2014, this vehicle claims to change the way people drive in India. With an affordable price tag, the USP of this car is its Automated Manual Transmission (AMT). 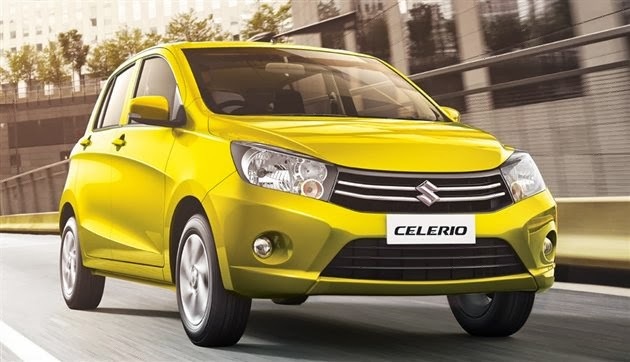 Maruti's new car Celerio will give the toughest fight to Hyundai i10 and Chevrolet Beat in the small car segment. So, let's compare the most anticipated Celerio with i10 and Beat. Appearance: Little longer than its predecessors, Celerio's front fascia resembles Estilo. Maruti cars are not that great looking however the Maruti Celerio doesn't look awkward and coy. The rear looks like Maruti 800 however the side profile gets creases and lines that make this car look trendy. In terms of looks, Maruti Celerio fails to look good in front of Hyundai i10 and Chevrolet Beat. Among the three, Chevrolet Beat looks best. Recently, Chevrolet Beat facelift was showcased in the Auto Expo 2014 that attracted many onlookers. With looks to kill, Chevrolet Beat is surely the king in the segment in appearance. 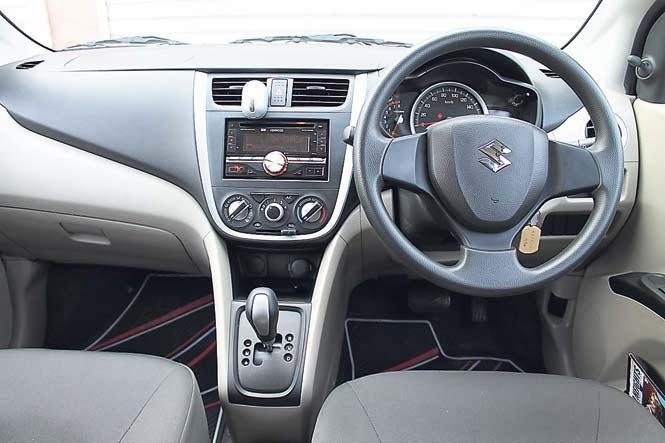 Comfort: More spacious than A-star, Maruti Celerio has a decent interior quality. There's nothing new in this car however all the basic features are well placed. The freshness and luxury of Hyundai i10 is better than Celerio anytime. Inside the cabin, the Beat features top-notch craftsmanship. The plastic quality of beat is exceptionally better. 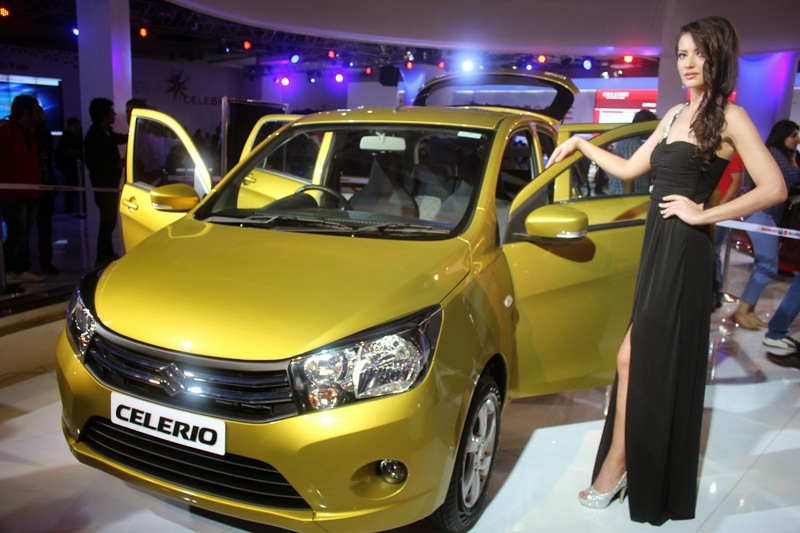 In comfort, Celerio again fails to stand against Hyundai i10 and Chevrolet Beat in comfort. Engine & Performance: Maruti Celerio has 1.0-litre, 3 cylinder engine, which is capable of producing maximum power of 67 bhp. The best thing apart from its manual transmission is its advanced Automated Manual transmission. It's the first car in the segment to sport a AMT (Automated Manual Transmission) while Hyundai i10 has iRDE2 1.1 litre powertrain engine that produces maximum power of 68 bhp. The Chevrolet Beat has 1.2 litre four cylinder that generates a maximum power of 79bhp. Beat has the most powerful engine among the three. Pricing : Maruti is known for its aggressive pricing strategy. Pricing plays a main role in the decision making of a buyer. Celerio is available in the price range of Rs.3.90 Lac - 6.39 lac. Compared to Hyundai i10 that comes in the price range of Rs. 3.87 lac- 6.39 lac and Beat in the price range of Rs. 4.15 - 5.37 lac, Celerio seems to be most affordable car in the segment. VERDICT: Maruti Celerio may not be that stylish nor it’s powerful but Celerio with its super advanced Automated Manual Transmission and aggressive pricing eventually scores higher than both Hyundai i10 and Chevrolet Beat.